The Legislature advanced a bill to select file Feb. 1 that would allow Nebraska lenders to charge higher interest rates on installment loans. Currently, the interest rate on installment loans is capped at 24 percent for the first $1,000 of an unpaid balance and 21 percent on any remaining balance. LB188, introduced by Sen. Brett Lindstrom of Omaha, would raise the limit to 29 percent on the entire balance. The interest rate cap last changed in 1984 when the landscape of lending was significantly different, Lindstrom said. At that time, there were no online options to pull customers away from licensed Nebraska lenders, he said. Lindstrom said the number of registered installment loan lending locations in the state fell from 39 in 2005 to 10 in 2016. Lindstrom added that installment loans fill a gap between payday lending and traditional borrowing from banks and credit unions. 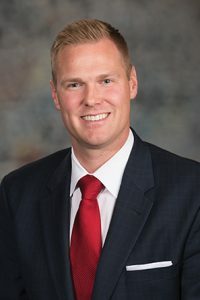 Sen. Tom Brandt of Plymouth was the only senator to speak against the bill, which he said was not in the best interest of Nebraskans. “I’d have to say that 29 percent is excessive, except that I believe that line was already crossed at 24 percent,” Brandt said. Sen. Matt Williams of Gothenburg supported the proposal. He said 29 percent was not excessive given the risk associated with installment loans. Senators voted 28-1 to advance the bill.